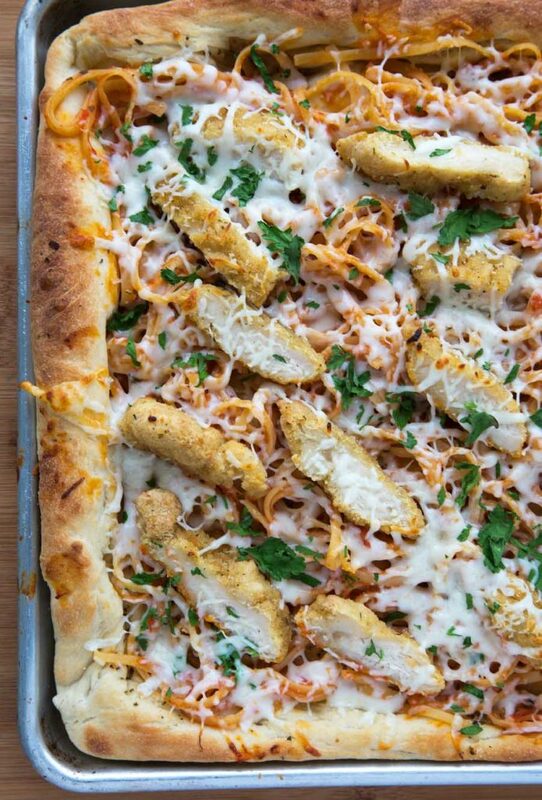 Home » Recipes » Main Meals » Pasta » Chicken Parm Pizza – Let’s Make Pizza Night Fun! 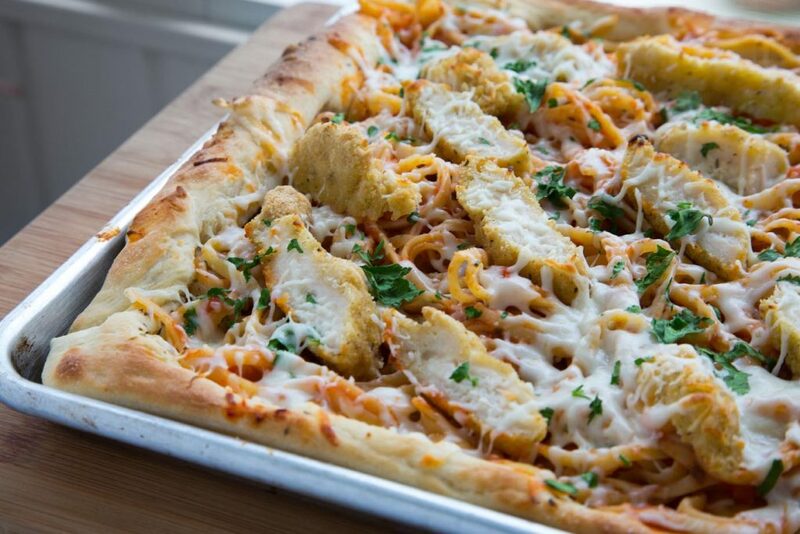 Can you say Chicken Parm Pizza? I love Italian food and combining three of my favorites, pizza, chicken parm was a delicious idea! 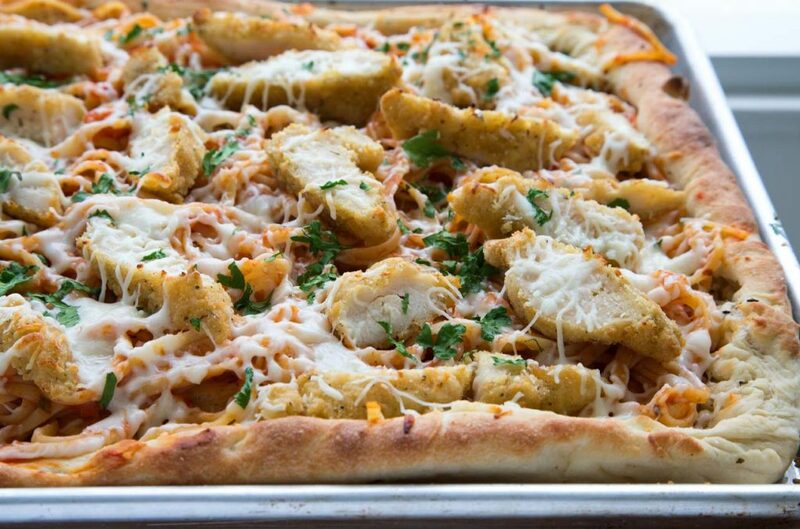 Can you say Chicken Parm Pizza? 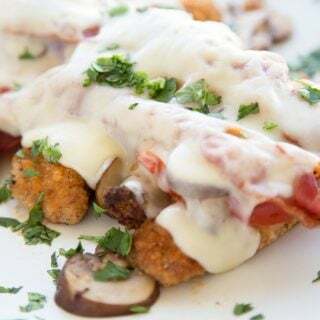 I love Italian food and combining three of my favorites, pizza, pasta and chicken parm sounded like a pan full of deliciousness to me! Especially when it takes minutes to prepare and saves money over the cost of eating out. 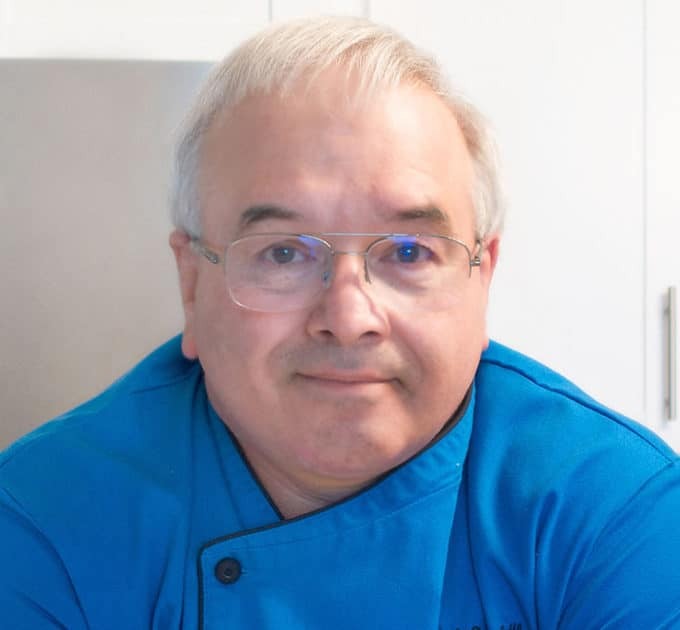 It’s also a great way to get the family involved in dinner, helping to prepare the ingredients. 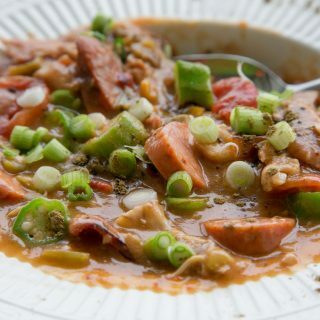 Cooking should be fun for the family and easy, delicious recipes are my favorites! This is a sponsored conversation written by me on behalf of Tyson® and Barilla®. The deliciousness, opinions and text are all mine. 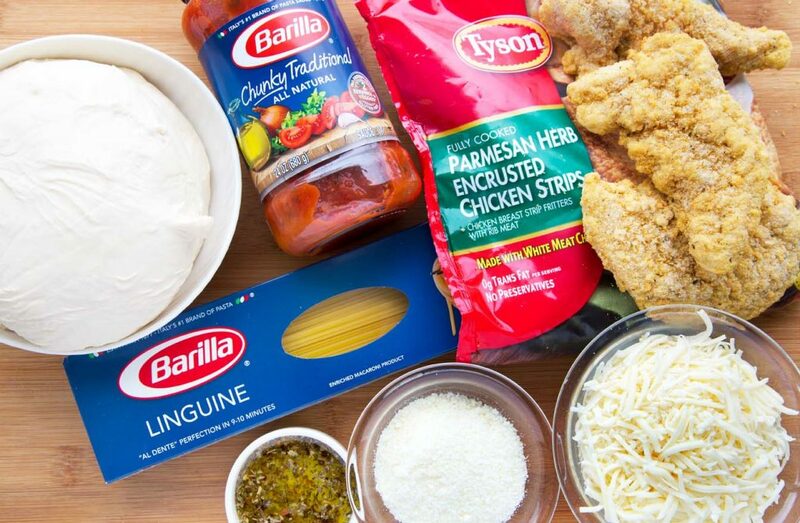 I started this culinary adventure with a quick shopping trip to my nearby Publix (which I’m at just about every day) to pick up the ingredients to make my Chicken Parm Pizza! 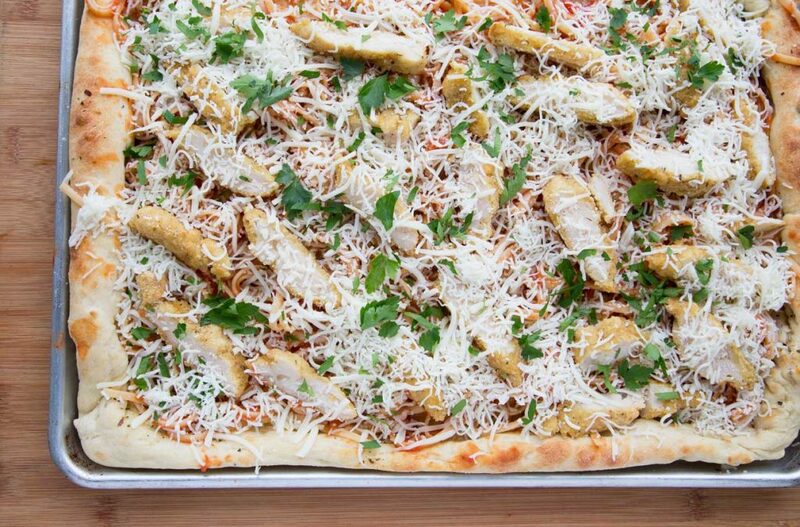 Then its time to gather our ingredients together for this delicious Chicken Parm Pizza! Publix makes it easy to shop and I always feel welcome at their stores. 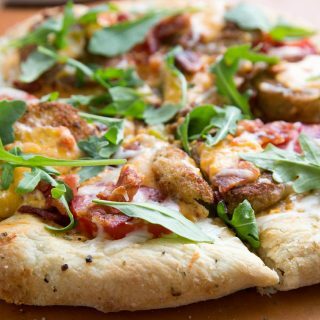 For this pizza, I decided to use the ready-made pizza crust that is sold at Publix but feel free to make your own from scratch. I was making a Sicilian style pizza so I bought two ready-made pizza dough’s and used a half a sheet pan for my pizza. 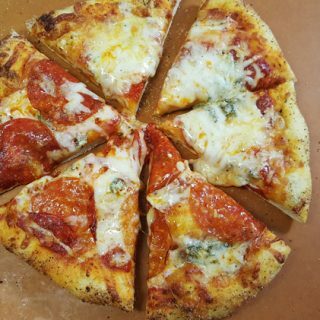 You can make this a traditional round using one crust if you prefer a thin crust pizza. I always bush my pizza dough with olive oil and spices to make it even more delicious! The pizza crust bakes for about 7-10 minutes in a 450-degree oven (or until crispy and light brown). The secret to a good Sicilian crust is a nice coating of olive oil on the pan. That helps crisp up the bottom of the crust. A very hot oven is also crucial. While my pizza dough was rising in my pan, I made my pasta and heated up my chicken strips. Make sure you follow the instructions on the Barilla® pasta for Al Dente. Then it’s back in the oven for 5-7 minutes to melt the cheese and finish baking your Chicken Parm Pizza. The hard part is waiting for this oh so delicious pizza! The wait is definitely worth it because you are rewarded with an amazingly delicious pizza. Coat large bowl with olive oil and place pizza dough in bowl, coating it completely. Place a clean kitchen towel over the bowl and allow dough to rise in a warm area for about 30 minutes. Flour a work surface and using a rolling pin roll your dough out to form a rectangle a little bigger than your pan. 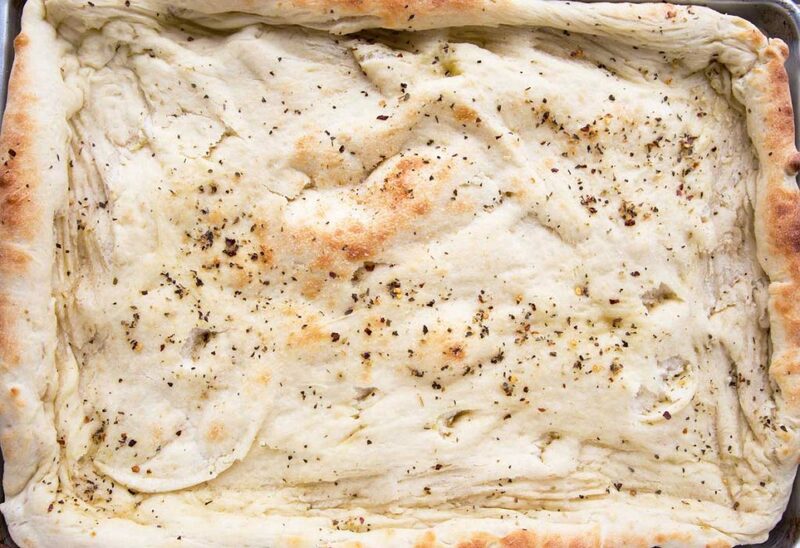 Put a light coating of olive oil on the sheet pan, and transfer the dough to the sheet pan. Form a crust around the edges by pushing the dough with palm of your hands towards the edges. Then use your fingers to form the outer edges. Allow the dough to rise in your pizza pan for about 10 minutes. 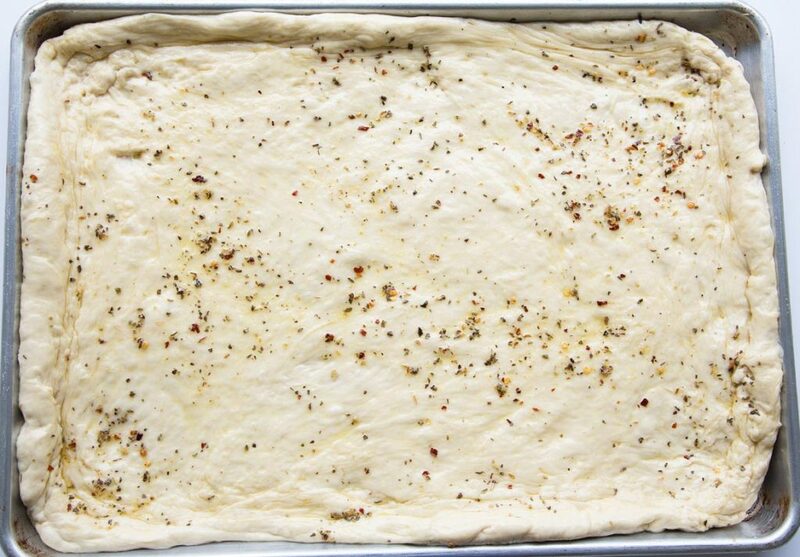 Mix the spices in two tablespoons of olive oil and using a pastry brush, spread the mixture over the entire crust. (gently) Bake dough for 7-10 minutes. Place chicken tenders on a baking sheet and place in preheated oven for 10-12 minutes or until fully heated to a minimum of 165 degrees internally. Cook pasta per instructions on box to al dente. 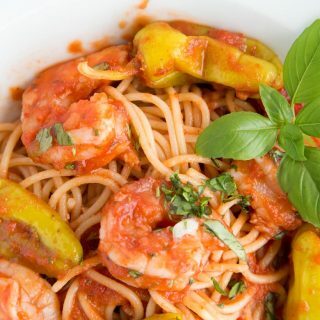 Drain cooked pasta and mix it with pasta sauce. Place prepared pasta on cooked pizza crust. 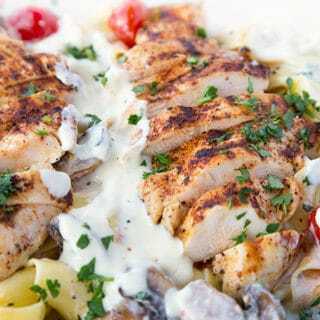 Slice chicken tenders and place them on top of the prepared pasta. Top with shredded mozzarella and parsley. Bake for an additional 5-7 minutes until cheese is melted.